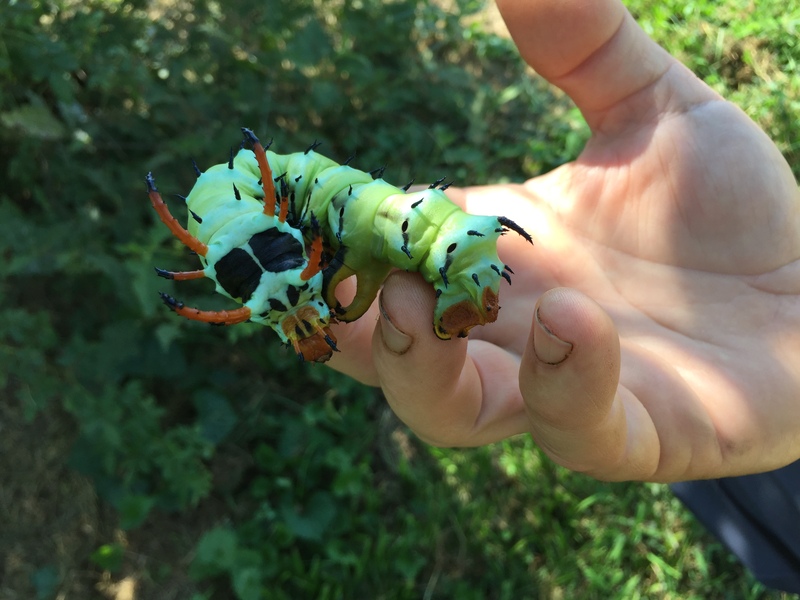 The Hickory Horned Devil is the story of the beast that becomes the beauty. The caterpillars are solitary, rarely found in groups of more than 4. 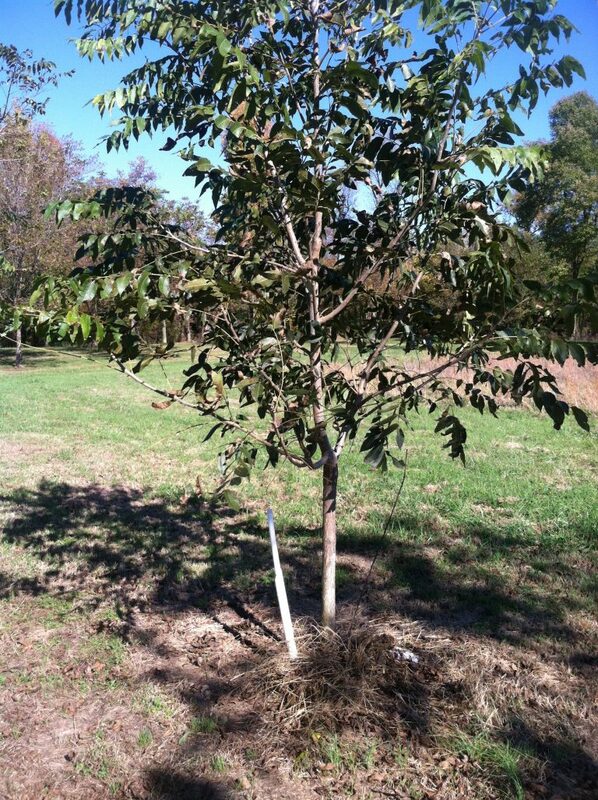 They are found on Hickories, Walnuts, Persimmons, Sweet Gum and several other trees and shrubs as well as cotton. It is not considered a severe pest. Its solitary habit limits the damage it can cause. It feeds mostly at night to avoid predators. The large size, up to 6″ in length, means a large appetite so, a single caterpillar can consume a lot of leaves. Even so, it rarely is noticed in the canopy of the tree. Despite their fearsome appearance, they are harmless. The horns and spikes are a ruse. This guy is all bluff and no action. This appearance is the last of 4 instars or stages of growth. The other stages are not so flashy. 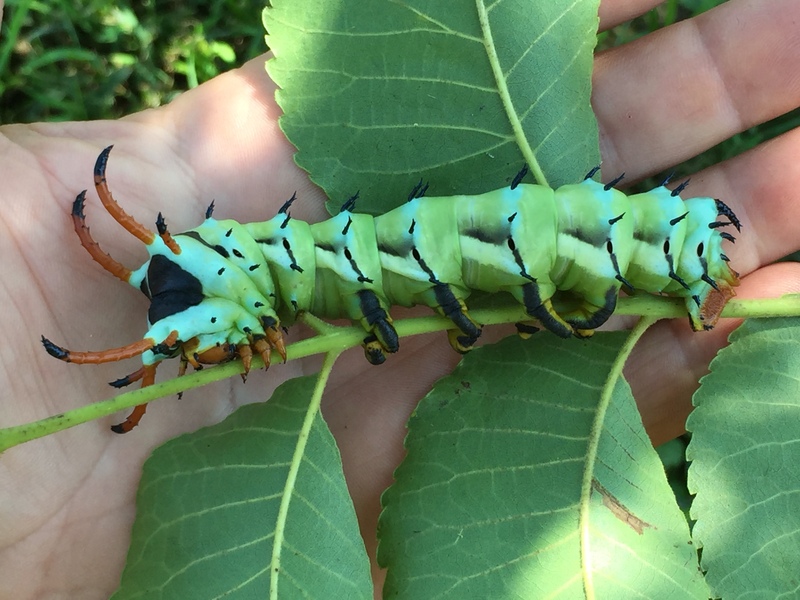 This stage is when the Hickory Horned Devil would make the biggest meal for caterpillar eating birds so, looking scary is about all a caterpillar can do. 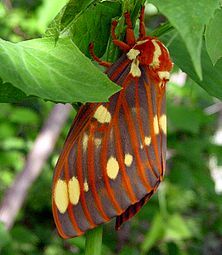 The adult Regal Moth is spectacular it’s orange grey and yellow coloring being a surprisingly good camouflage in the natural world. It is a summer moth seen most often in June, July and August. The adult moth does not feed. It spends its short adult life seeking a mate and laying eggs. It apparently lays its eggs singly or in very small groups to reduce the chances of all of its offspring being found by predators. The chance to see such a spectacular creature as this either as a caterpillar or as an adult moth is reason enough to have a pecan tree in your yard. Beautiful insects and a pecan pie too! How can you go wrong? 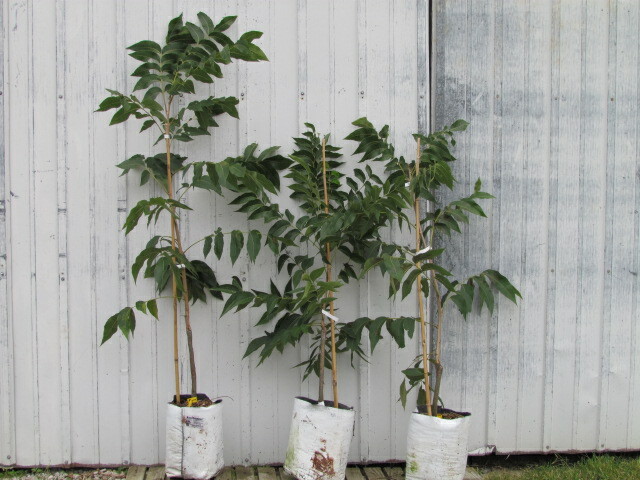 What should I expect when I order a tree from Rock Bridge Trees?